This is a plein air painting done in Mt. Dora, Florida. 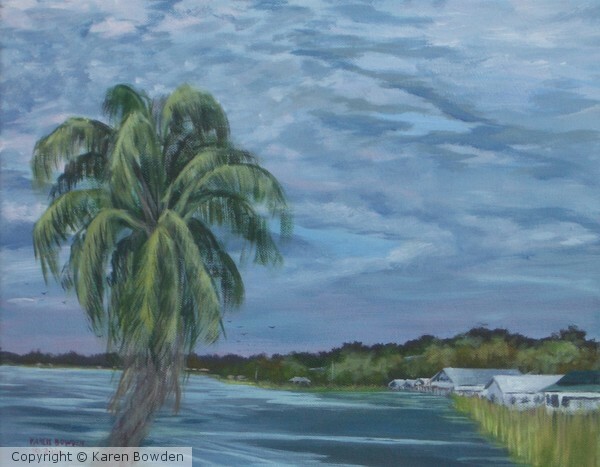 There was an earthquake in the Gulf of Mexico while I was painting on the dock overlooking the lake. I felt the dock shaking when the tremor went through Central Florida. Original image size: 11x14. GORGEOUS work of Art You have created while being in the midst of the dangers of an Earthquake!!!Wow!! !Great Fine Art!!! GREAT PRESENCE OF MIND TO PAINT SO PRETTY DURING A QUAKE! Artist Reply: Well, I have to admit that for a few moments during the slight tremor my first thought was a sink hole had opened up under the lake and I was wondering what to grab first -- my painting or my supplies!